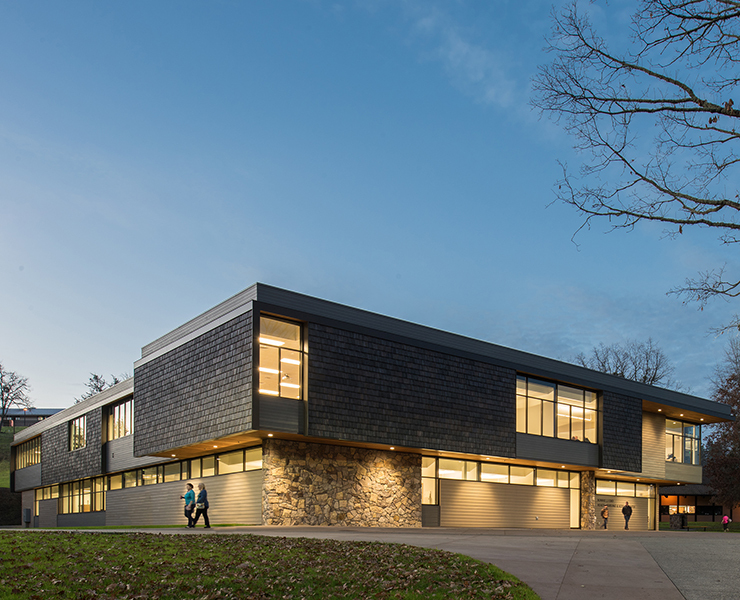 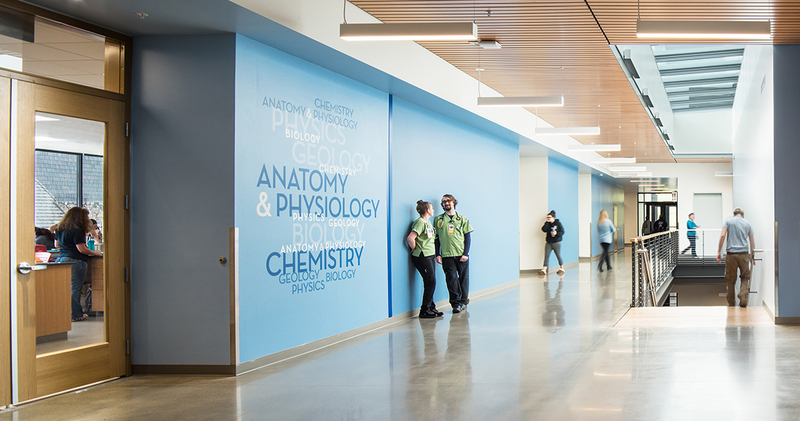 The 34,000 sf Bonnie J. Ford Health Nursing & Science Center brings together the departments of allied health and physical sciences, formerly dispersed throughout campus in outdated and undersized facilities. 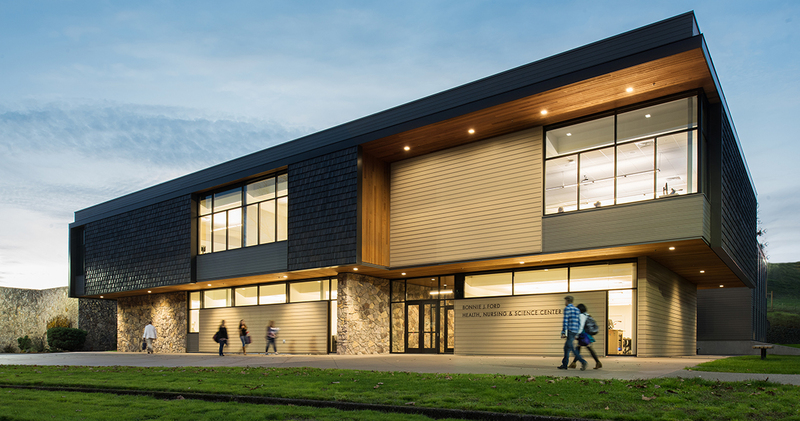 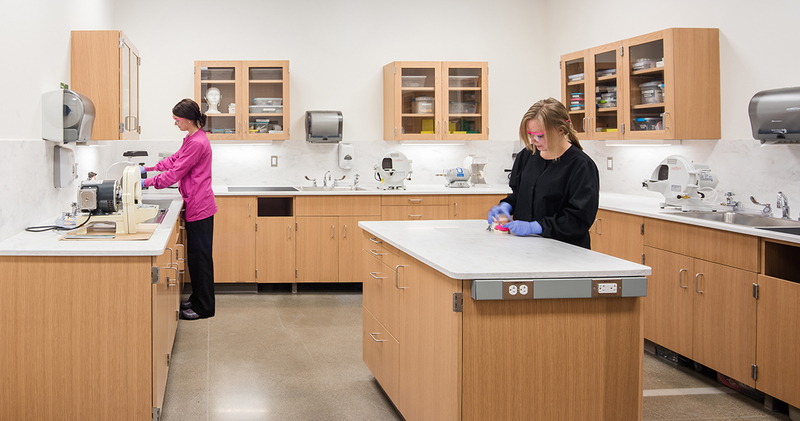 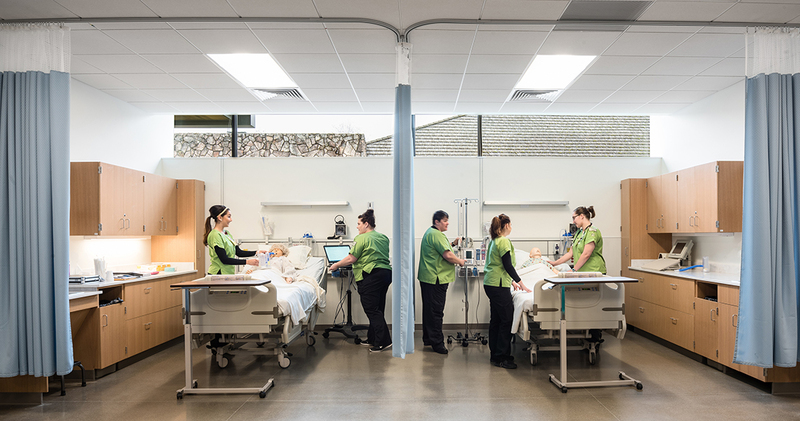 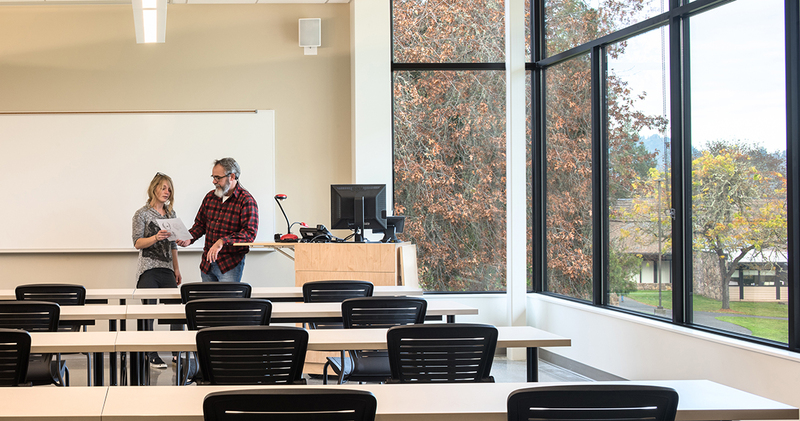 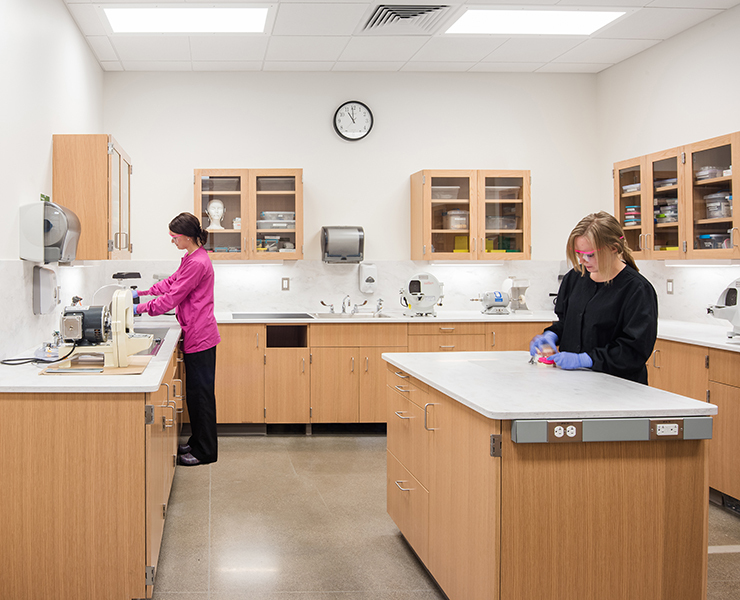 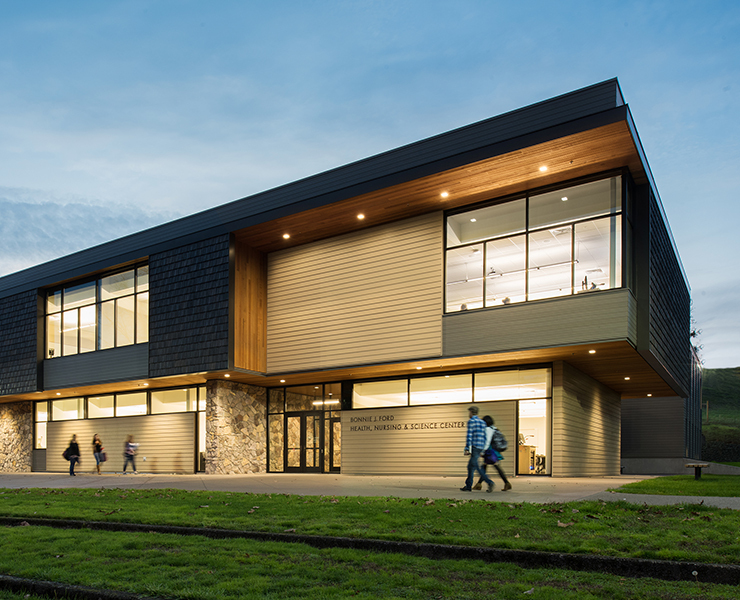 The state-of-the-art regional training center for allied health houses the Umpqua Community College’s nursing, dental assisting/hygiene, and other health related programs. 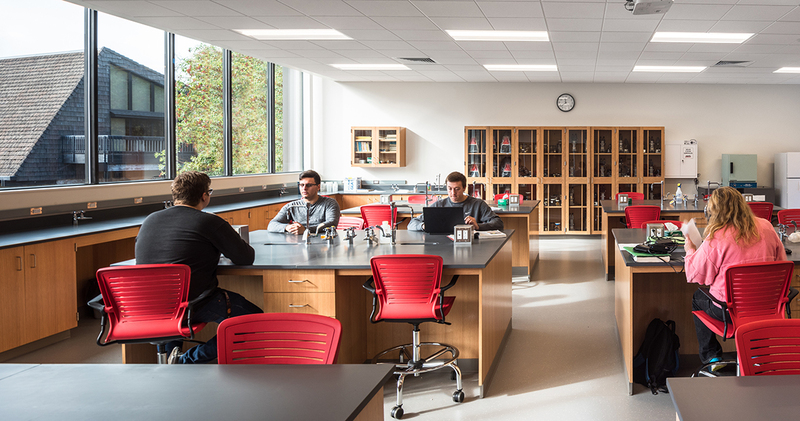 The science program includes laboratories for biology, anatomy/physiology, chemistry, general science, geology, and physics. 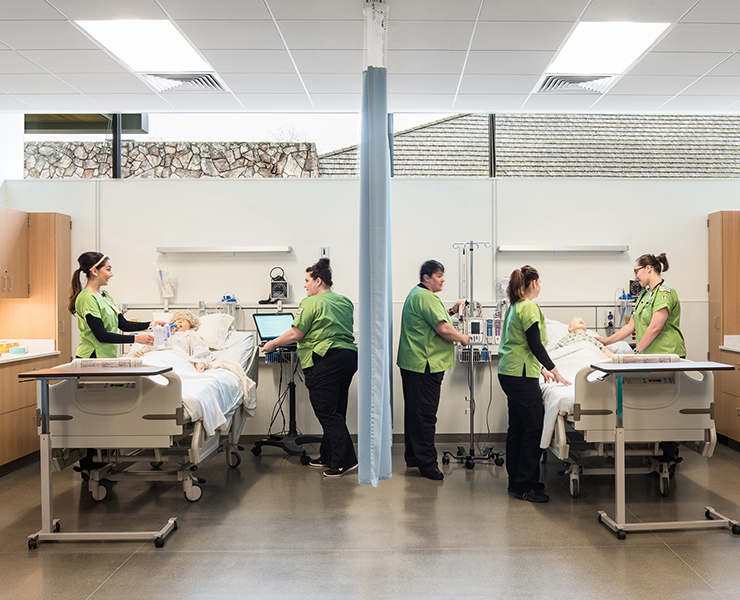 A variety of classrooms serve the allied health and science departments and general campus use. 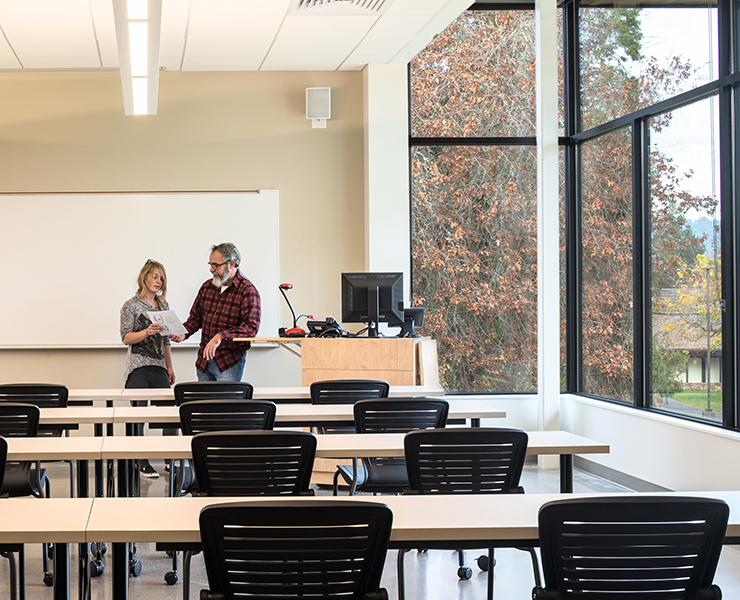 Classrooms on the second floor have large windows looking out on the Swanson Amphitheatre Common Space. 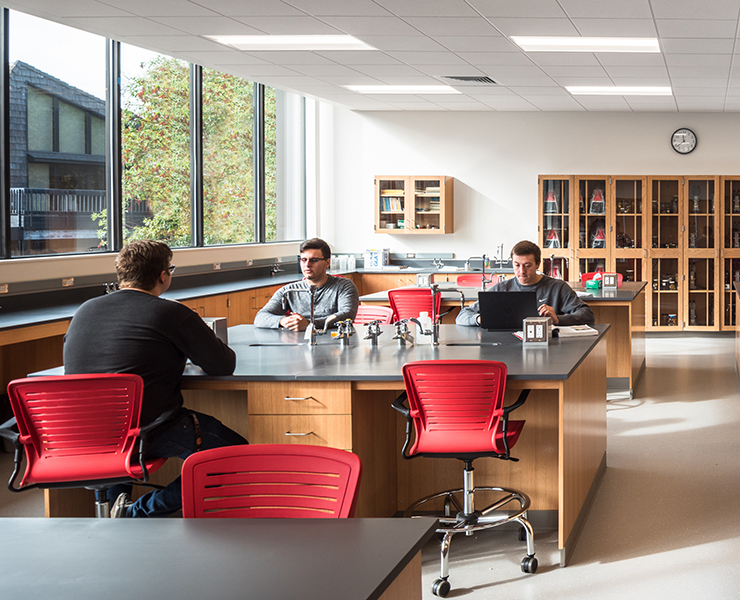 With the help of a surge of community donations, a medical/legal resolutions lab was created to provide a unique classroom space to help facilitate this important new program. 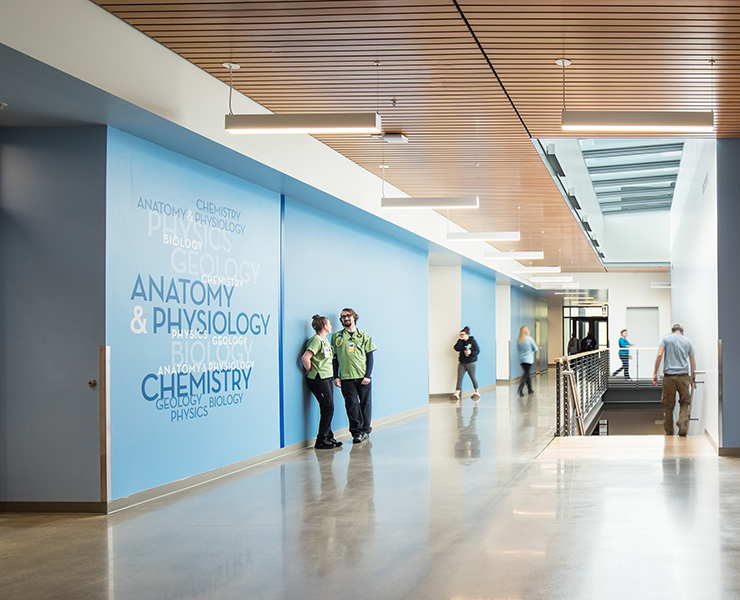 The central atrium space brings daylight into the heart of the facility to reduce energy consumption and operational costs. 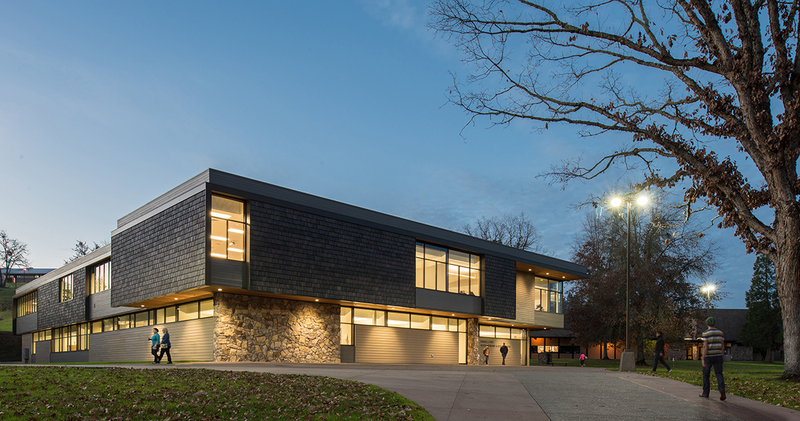 Existing trees and site features on the oak knoll were preserved with the landscape featuring drought resistant plants to help reduce overall water consumption for maintenance.